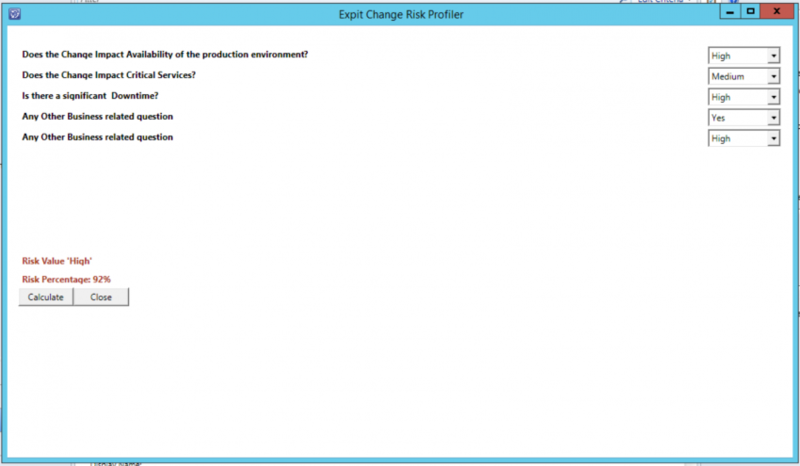 What is Expit Change Risk Profiler? Do you face a dilemma or are you unsure when estimating the right level of risk for a particular change request? Estimating the right level of risk is a very critical component when proposing a change. So why should it be based on an individual’s expertise or filled in an ad hoc manner? 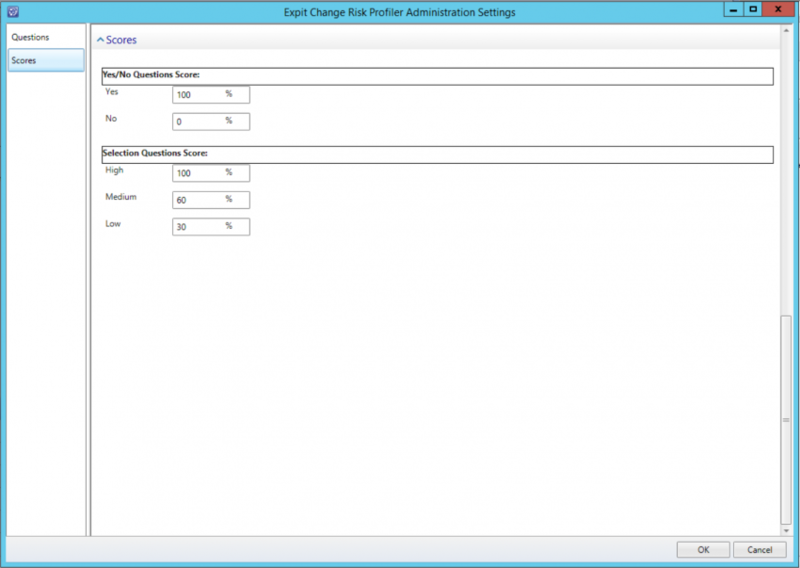 Expit Change Risk Profiler for Service Manager 2012 addresses this issue and provides a process oriented approach in calculating the risk associated with a change. The process of calculating the risk is dynamic and you can estimate the risk while creating the change requests. The initiator has the option of answering upto 10 business related questions to determine the right level of risk. 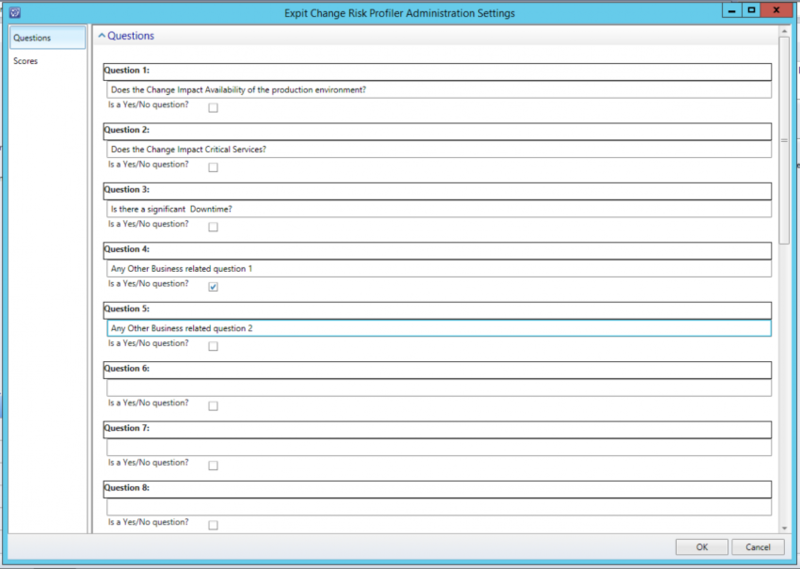 Expit Change Risk Profiler gives you the capability to form 2 types of questions. Risk Profiler gives complete control to the administrator on calculating the risk score by assigning weights to the type of questions. The Change initiator has to simply answer the list of questions to get the right risk level for the change.